As your mind is one of the most important aspects of your wellbeing, it’s critical that you take proper care of it. Below we recommend a list of 10 things to do on a regular basis to keep your mind top notch. Sleep is vital for overall health, there’s no question about that. What happens to your brain during sleep is that its function improves significantly. Sleep also increases your memory and improves your mood. Some scientists recommend taking a short nap during the day; even a 15-minute nap can make a world of difference for your brain health. Do something creative just before going to bed. Interestingly, the brain becomes more creative when you’re tired. You can turn this into an advantage by feeding your brain with something interesting like painting or writing. You might feel surprised to wake up as the new Picasso. Contrary to common belief that multitasking improves brain function, it’s actually quite the opposite. Focusing on one task at a time enables your brain to work at its full capability and achieve more than you can think of. Focus on a task you need to finish without indulging in other things like phone conversations or watching TV. You’ll be surprised by the results. Aside from improving your overall health, cardio also benefits the mind. The only thing you need to do set 15-30 minutes off your day for this workout. It might as well be a walk in your neighborhood if you’re time-bound for the gym. Write. Like on a real piece of paper. There’s no doubt that handwriting rapidly goes out of use. With all the technology at our hands- computers, iPads, tablets, smartphones and the connection to the internet basically everywhere, the probability of having to write something down is very low. However, scientists say that handwriting actually makes us smarter. Just as your car depends on oil and your phone on recharging, your brain relies on vital nutrients for proper function. Daily supplementation with multi-vitamin is all your body, and brain, needs, according to research from the British Journal of Nutrition. Have in mind that the best multi-vitamin supplementation is in the form of a healthy smoothie, preferably at the start of the day. One of the best brain exercises is learning a new language. On one hand, this activity forces your brain to adapt, while on the other hand, you enrich your knowledge of a new culture. The game Words with Friends is a hit, and for a good reason. According to research, word games significantly improve brain power and increase your IQ. This means grab every chance you get to play Scrabble with your friends. Aside from being one of the oldest forms of relaxation, meditation provides numerous benefits for both your mind and body. In fact, studies have found that meditation benefits nearly every part of the brain. 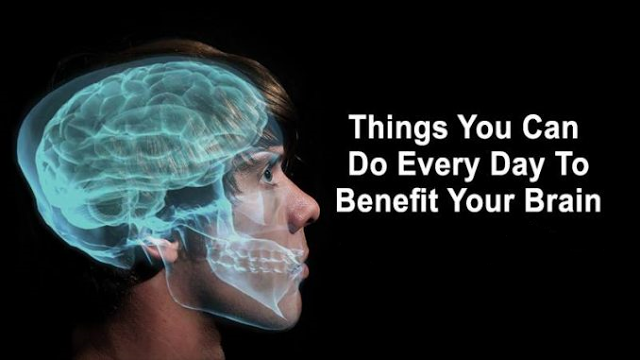 Although it sounds a bit cliché, thinking positively does improve your brain function. So, looking on the bright side of life may not be such a bad idea after all.